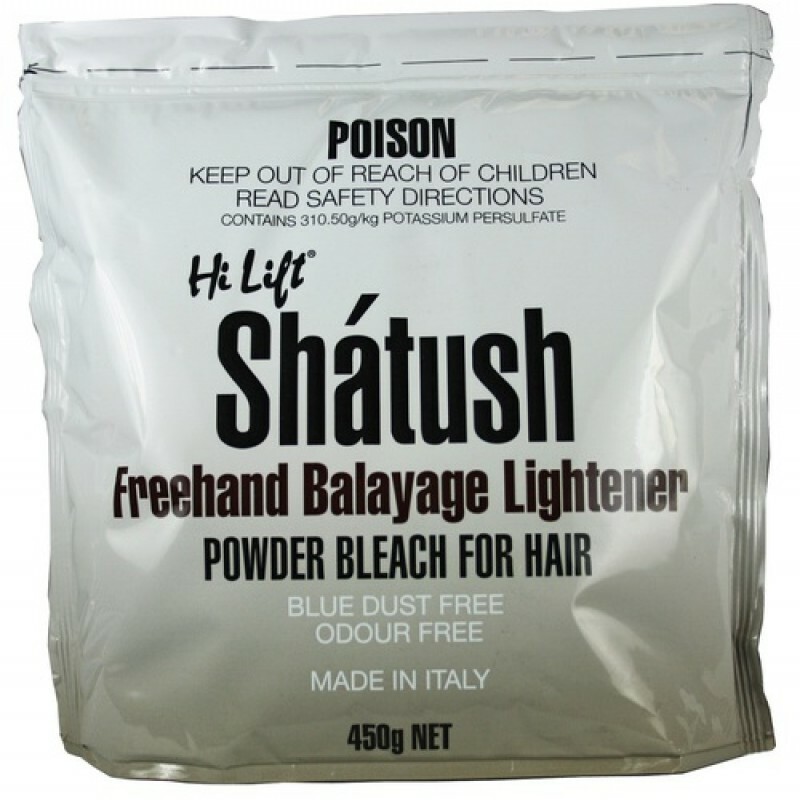 Hi Lift Shatush bleach is especially formulated for Balayage FREEHAND painting which will creat depth and dimension with beautiful natural sun kissed results. Lifting up to 8 levels. 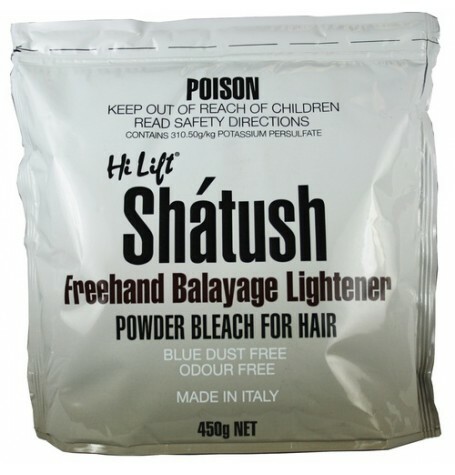 Dust free and odour free powder bleach for hair fast and simple to mix powder that produces a creamy consistency. Fast acting simplifies processing time. Great for highlighting lifts up to 8 levels. Eliminates warm, yellow undertones to reveal clean, brilliant, ultra-light tones.